Call us today for custom shipping crates, pallets and boxes. 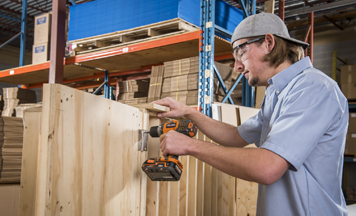 Our technicians have the equipment and expertise to make any piece of equipment or machinery safe for shipping. We use the highest quality materials and precision build shipping crates, pallets and boxes for clients that need a perfect custom enclosure for one time use. Call us to get started.